. Appraisals Estate Consignment | Senior Advisor | MOVING ON! From the very first time you contact us to the completion and solution of your families senior move, downsizing, estate sale or other required services we become your advocate; your partner to insure that every detail has been addressed and handled with the utmost care and compassion. We listen to your needs, goals, time constraints and budget. Every Person’s needs are unique. We provide services, options and resources and a written estimate. You make the decisions; we organize, manage, facilitate, and perform your selected services. Digital photos used for real time decisions. 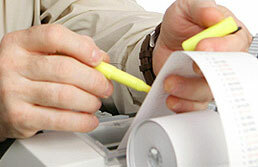 We provide on-going reports until your project is complete. • A Single Point of Contact for as much or as little as you need done. • Our professionals are Skilled, Knowledgeable and Compassionate. • Options, Resources, and Solutions when you must make emotional, challenging and complex decisions.